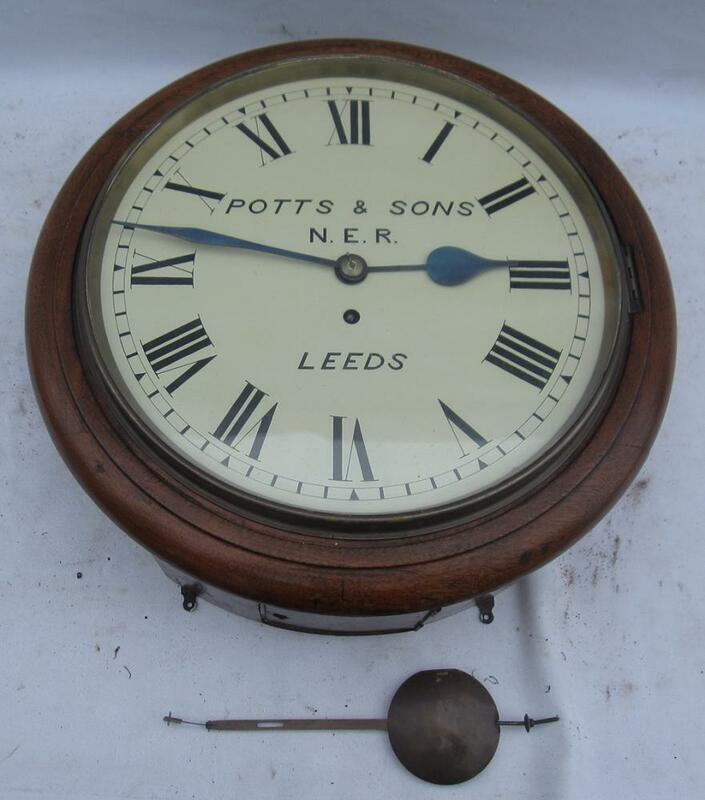 10 Inch Dial Fusee Clock By Potts And Sons Leeds with NER lettered dial. Complete With Winding Key In Working Condition. Circa 1900.